Protecting policyholders from the growing threat of identity theft is one of Wayne Insurance Group‘s top concerns. This crime claims more than 12 million victims a year and is showing no signs of a slowdown. We believe in delivering peace of mind to our policyholders and, as part of that commitment, we’re proud to provide our Identity Fraud Resolution Service. As a Wayne Insurance Group policyholder, you and any resident household members have access to Identity Fraud Resolution Service through our partner, CyberScoutTM, the nation’s premier provider of identity management services. Contact your Wayne Insurance Group agent to see if you are eligible for this service. Don’t wait until you are a victim. Identity thieves steal mail, skim credit cards, hack into ATMs, and rummage through garbage in the search for their next victim. In the blink of an eye, criminals misuse bits and pieces of your personal information to obtain fraudulent credit and make unauthorized purchases. If you’re the victim, you need expert help…NOW! For unlimited, one-on-one fraud specialist services, call Wayne Insurance Group at 800-222-3873 x2. 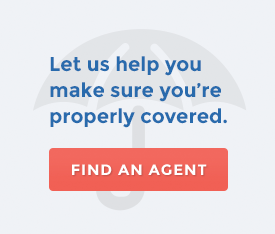 If this service is available with your policy, you and your household family members* have unlimited one-on-one access to a highly trained and experienced fraud specialist at CyberScout. Simply call Wayne Insurance Group, and we’ll transfer your call. If you want to take action to help prevent identity theft or suspect that you may be a victim, a personal fraud specialist will guide you through the proactive and resolution process until the problem is fully resolved and your peace of mind is restored. Fraud specialists are on stand-by ready to assist you. PLUS Identity Document Recovery service – Helps fire or disaster victims who lost important documents and files recapture critical account numbers and other documentation to re-establish their lives. For news on the latest identity scams, streamlined access to Internet resources, and a wealth of preventative tips to avoid becoming a victim, go to www.wayneinsurance-idtheft.com. For more information on identity management services view here. * Identity Fraud Resolution Services are available to a spouse and/or immediate family under 26 years old who lives in the household.